Last week, Wearality successfully passed its Kickstarter goal of $100,000 to help fund their efforts new mobile phone based HMD, the Wearality Sky. The Kickstarter may have been for an HMD version but according to Wearality’s CTO, David Smith – formerly the Chief Innovation Officer at Lockheed Martin, “[we] are a len’s company, we want to supply all the major headset manufacturers with the best lenses in the world.” That effort begins with the Sky lenses, the 150-degree FOV lenses used in the Kickstarter, but those are only the beginning, “this is only gen one, wait until you see what’s next,” David teased – before pulling out a little taste of what in fact is next. Using “double convergent Fresnel [lenses] creating a collimated light field,” the new lens is nothing short of remarkable. Holding it up to my eye I watched a non VR video of a forest playing on David’s phone. Since I only had one lens I was able to stare both at the scene fully encapsulating half my vision, and David across the table from me – it was a bit of a head trip seeing virtual in one eye and the real world in the other especially when the virtual world looked so clear and completely engulfed half of my vision. I asked David if they were planning to show a demo of these 180-degree lenses with two linked screens (because with this high FOV, a screen per eye will be necessary) and he said that they already had it in the works. Everywhere I darted my eyes I was able to see clearly, even as I strained to look as far to my right as possible – still clear forest scenery except in the part of my vision that is physically limited (the very outer edges of peripheral vision are blurred in the human eye). This is not something that is currently possible on any of the HMDs currently coming to market – even as both Oculus and Valve/HTC move towards fresnel lenses (identifiable by the concentric rings) which are a part of Wearality’s equation. When you look to the edges on today’s headsets you are bound to see heavy distortion as well as the black edges of the HMD itself. 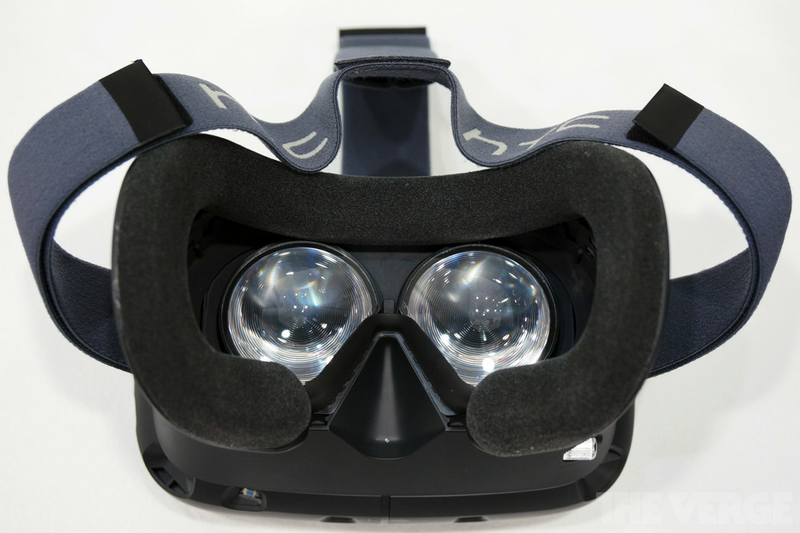 This is because both the Oculus Rift and the HTC Vive have about a 110-degree horizontal field of view, meaning that a lot of what the eye can perceive is cut off. With monocular vision (i.e. one eye) humans have about a 160-degree horizontal field of view, with binocular vision (i.e. both eyes) that FOV increases to about 200-degrees (if you include eye rotation, you can get up to 270 degrees horizontally). This means that the 110-degree FOV that we see in the Oculus Rift and HTC Vive is only 55% of the average perceivable FOV. There are many reasons why this is important. For one, as we move towards eye-tracking in HMDs, there will be a strong need for wide fields of view because eyes will be darting to the edges of the screen regularly, as it makes sense for eye tracking to be used to help select UI elements at the edges of the screen. That loss of 45% of our FOV actually plays with the brain in some strange ways as well. ‘Tunnel vision’ refers to when one loses their peripheral vision. It is usually caused by some kind of damage to the optical nerve, for example in patients with Glaucoma. 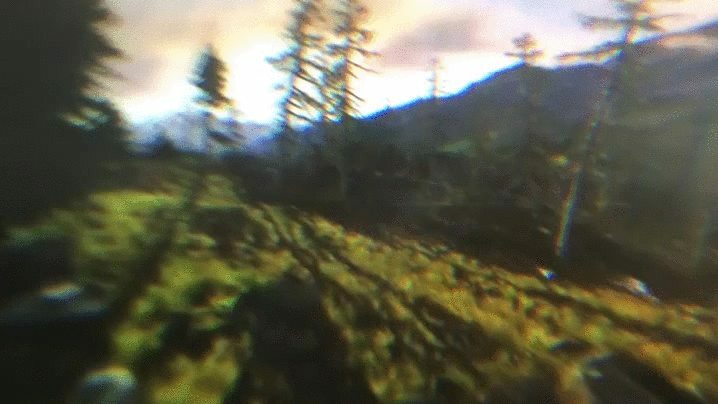 When one loses their peripheral vision they lose some of their ability to perceive the world, according to Eye Health Web some of the symptoms of peripheral vision loss, “include difficulty seeing in dim light and a decrease in ability to navigate while walking.” The navigation aspect may be most important for VR. According to a recent Nobel-prize winning study, virtual reality impacts the brain’s ‘GPS cells’ meaning that when one is in VR they lose some of their sense of navigation, combined with a loss of peripheral vision and you are going to get a lot of people wandering around lost in VR like Nana at the old folks home – no matter how good the game design is. It’s also a comfort factor, to demonstrate this, David had me try a test that you can try at home. Put your hands up on either side of your face, blocking your peripheral vision (like blinders on a horse). Now turn and start walking towards the nearest doorway and pass through it. You should notice that your brain reacted slightly – perhaps even braced itself a little – as you walked through. This is because the brain knows that doorframe is there, even though you can’t see it – and that causes a bit of distress. The brain can be a funny thing. Wearality’s lenses are a massive step towards the right direction. Currently, the 180-degree lenses aren’t yet being targeted at a consumer price point but they are making their way there. The 150-degree lenses from the Kickstarter used to cost $1100 all of four years ago – since then their price has fallen to a very consumer friendly $49, over 22 times cheaper. That is the speed of innovation that comes with having the resources of a company like Lockheed Martin behind you. Speaking with David, that Lockheed Martin connection may very well be Wearality’s ‘silver bullet.’ Currently Wearality holds over 30 patents for lens technology, many of which are the direct result of a deal David struck on his way out the door. Wearality and Lockheed Martin will remain tied for the foreseeable future, as any Wearality will have access to any VR technology developed by Lockheed Martin for defense to use in the consumer market. It is a two way street and Lockheed Martin will continue to get the fruits of David’s labor as well, allowing them to use any of Wearality’s consumer tech in their defense applications as well. The fact a company like Lockheed Martin would make a deal like this speaks volumes about the quality of Wearality’s lenses and their view of David’s ability to continuously innovate.